This is no myth. The next Riva to set the tone for years to come will be a 27-knot, 122-foot aluminum planing yacht, and it will be built in Ancona, Italy, at the CRN shipyard. This futuristic aluminum vessel is a long way from the iconic Rivas of the 1960s, which ferried scarf-clad beauties and their sun-kissed companions between the Riviera’s trendiest ports. Many of these original mahogany Rivas today are prized collectibles, and they will always be a big part of the company’s 170-year history. While the new Riva has little to do with these iconic boats of a bygone era, it still is a Riva, which means fans everywhere will be anxiously waiting for her. Plans have been underway for some time. At the 2009 Monaco Yacht Show, Norberto Ferretti announced the development of a new line of yachts that would mesh the talents and know-how of Riva and CRN. Mauro Micheli, a prodigy who apprenticed for Riva fresh out of design school and later founded Officina Italiana Design with Sergio Beretta, was there to reveal the first intended project—a 164-foot yacht. The newly unveiled Mythos 122 is the first evidence that the executives at Ferretti—while they scaled the project down a bit as market conditions changed drastically—kept forging ahead. The new Riva flagship-to-be is a big step forward in terms of style, amenities and material. 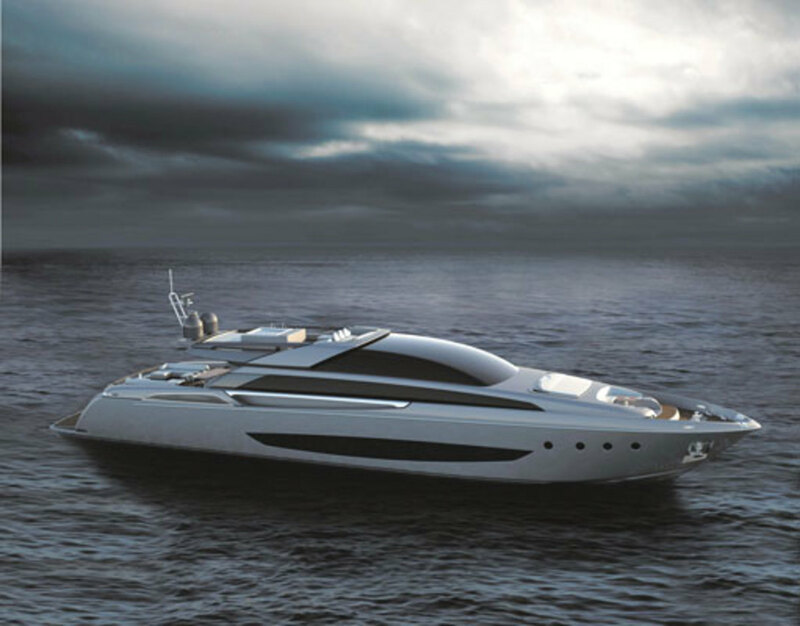 It is the largest all-aluminum yacht Riva has planned to build to date. Yet, the Mythos 122 is not Riva’s first foray into megayacht territory—or even the first Riva to be built at the CRN shipyard. 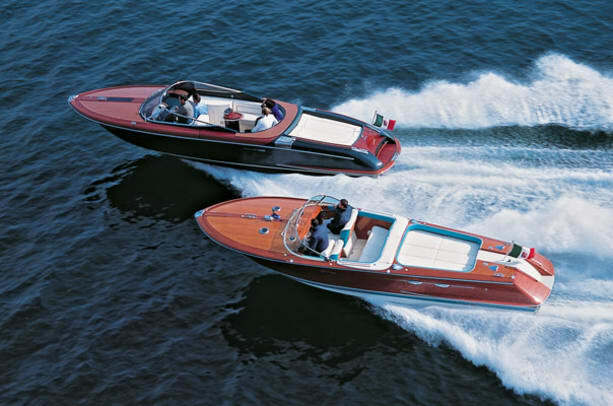 Carlo Riva, an engineer born into a family of boatbuilders from Northern Italy, famously created the modern-day Riva. He set up a production model at the Riva factory, and in 1962 brought the Aquarama to the world. A keen market observer and an internationally minded businessman, he looked for business development opportunities all over the world. He was one of the first Italian boatbuilders to exhibit in the United States and, for a time, he worked with De Vries in the Netherlands. At least seven flybridge yachts, dubbed Caravelle, were born of that collaboration. A 75-footer, built in 1967, is currently for sale, and a 1964-built Caravelle called Serena was refurbished at Feadship from 2009 to 2010. 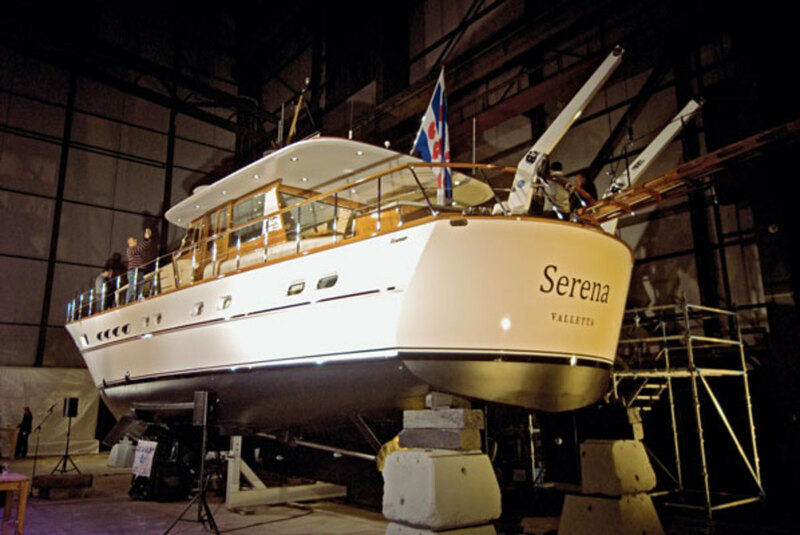 Yachts with Carlo Riva and Giorgio Barilani design and Dutch composite construction were produced into the late 1960s, while Riva continued to produce the iconic open-style boats in Sarnico, Italy. Carlo Riva parted ways with the Dutch shipyard in 1970 but continued designing yachts. 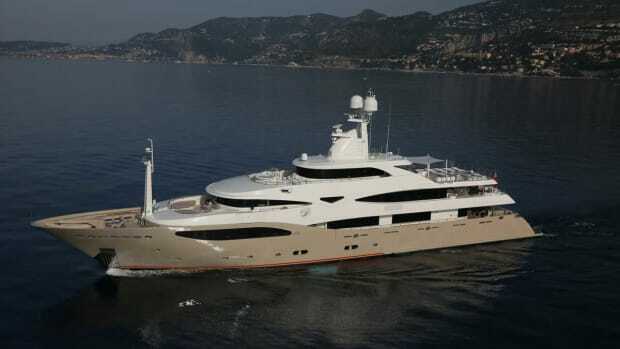 He began working with CRN, a collaboration that gave birth to the Marco Polo series (76 feet in length), plus two custom yachts, 90 and 100 feet, respectively. 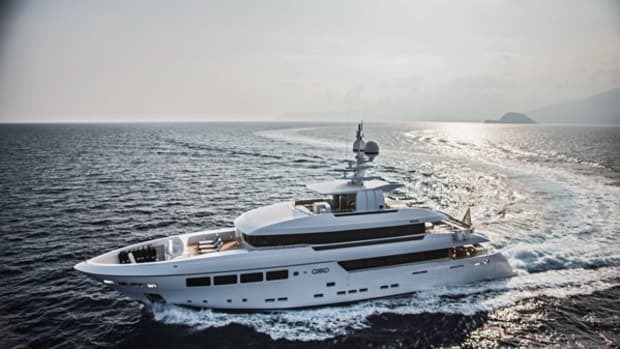 A 100-foot yacht designed by the Carlo Riva Yacht Division and built by the CRN shipyard in 1978 still navigates under the name Vespucci, the original model name. With full Riva design and engineering, this displacement yacht, formerly named Andrax, has a steel hull and aluminum superstructure. Sold to American company Whittaker (a composite specialist) in 1969, and years later to Rolls-Royce, the Riva shipyard returned to Italian ownership in 2000, when Norberto Ferretti made it part of his growing empire. Carlo Riva, now a vivacious nonagenarian, was at Norberto Ferretti’s side later that year as the two men lead a Riva classic boat parade on Lake Iseo near the shipyard’s historic hometown. Norberto Ferretti cultivated the company’s historical roots, but he also encouraged continued product development. 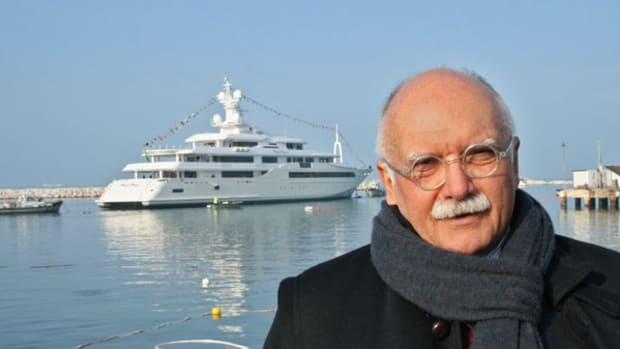 A new production unit in La Spezia was dedicated to larger boats. Among the new models launched under the Ferretti umbrella were several more yachts branded Riva. 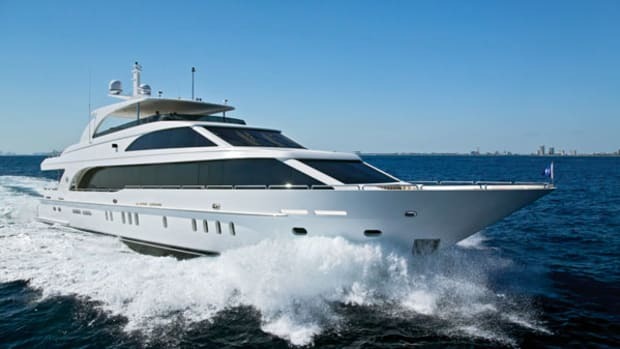 The 115-foot Athena (a semi-custom flybridge model) was launched in 2005, followed in 2008 by the elegant 92-foot Duchessa (another flybridge yacht), and a year later came the stunning 86-foot Domino. A 38-knot speedster built in composite, the Domino belongs to the category Riva classifies as “coupe.” It’s obvious at first glance that the Domino has inspired the exterior design of the new flagship. They may be close cousins stylistically, but the Mythos 122 is not just an elongated version of the Domino, it is a brand-new yacht combining technological advances and modern-day comfort requirements. It is designed to be quick but also efficient, and will not be the silver bullet the Domino 86 is meant to be. In the same spirit as the Domino, the Mythos 122 sports large windows and a well-integrated sun deck. Discreet but large enough to accommodate a Jacuzzi pool, sun pads, a table and a foldable exterior console, the sun deck is sure to be the yacht’s most sought-after area for far niente. Yet, more options are available. A seating area and a table located on the forward part of the main deck are the pendant to a well-equipped aft deck with a dining table for up to 10 and a comfortable lounge. An important key to the successful design is its apparent simplicity. The hard part is to conceal all the mechanical parts, the deck equipment and the toys, which this design does successfully. 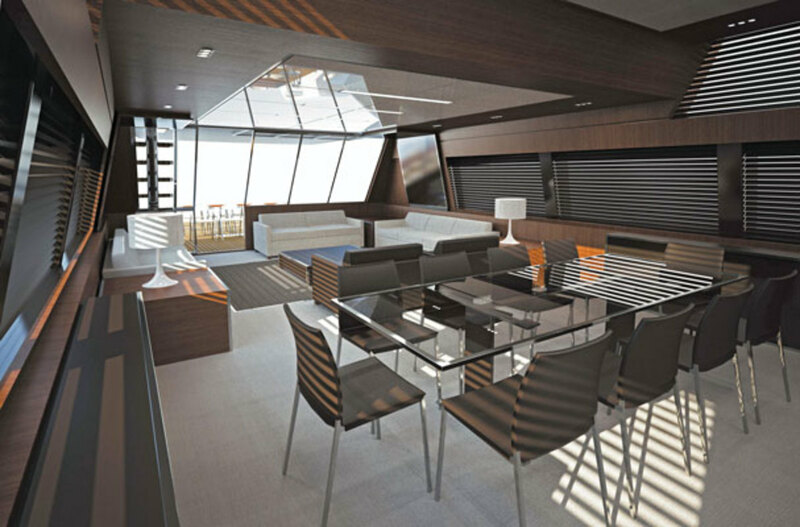 The renderings only show the winches rising from the teak-laid foredeck area. At transom, a discreet set of stairs is set between two hatches opening onto a tender and a Jet Ski. They also lead to the swim platform, which features a hydraulic lift for easy tender launch. The entire main deck underscores modern sobriety and clean lines, and the lower deck houses three to five comfortable cabins (according to the owner’s chosen layout), plus crew cabins. The crew has access to the modern galley, located forward and down from the sophisticated helm station, shown here with a glass bridge. Utterly stylish, the Mythos 122 originates, of course, from the drawing board of Officina Italiana Design. Micheli, a stylish man with chiseled features, has contributed his considerable talent to new-generation Rivas since 1991 (when he designed the 58-foot Riva Bahamas). 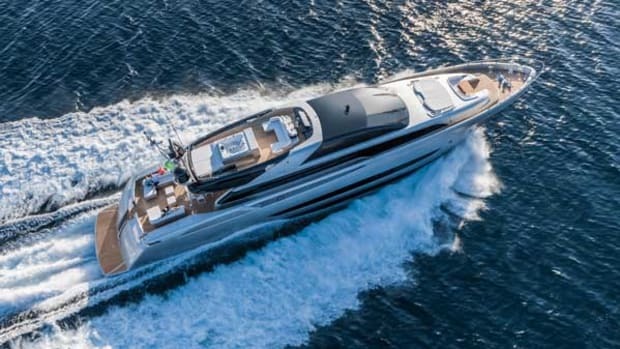 For the past decade, he also has worked closely with the Ferretti Group in-house engineering and design team (AYT and Centro Stile) on the new Rivas. According to Micheli, coming up with the lines of the Mythos 122 took but a few minutes, although considerable more time went into developing all the details. He expects this design, which he describes as “instinctive,” to set a new milestone for Riva, just as the Domino, Aquariva and Rivarama models did before it. On the technical side, the designers went for a conventional and proven power plant and diesel engines. A planing hull in light alloy combines with shaft lines, efficient propellers and two 12V MTU 4000 M 93L engines to produce a top speed expected to be about 27 knots and an efficient cruising speed of 25 knots. 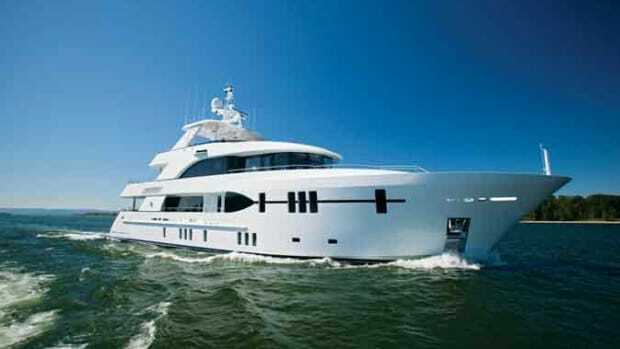 The yacht will have active stabilization for onboard comfort at all speeds. 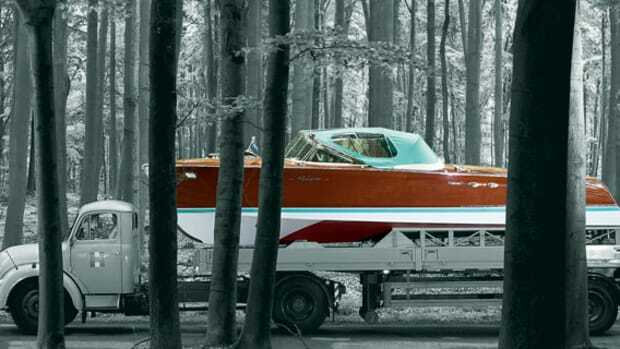 A launch date has not yet been announced, but Riva fans everywhere will be anxiously waiting. Through decades, different materials, various eras and numerous models, as well as different ownerships, the Riva name has endured and become a symbol—it is a constant through change. 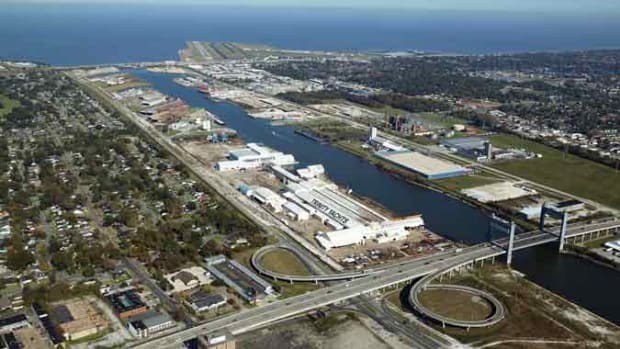 For an excerpt from Riva&apos;s new book chronicling their 170-year history, click here.